Want it by Thursday 25th April? Order within 18 hours, 53 minutes and choose Royal Mail 24 Hour Delivery at checkout. Crafted from soft cotton and beautiful multi spot patterns this set is the perfect addition to any first wardrobe. Made up of a cute pastel t-shirt with pocket detail and adorable frill leggings. 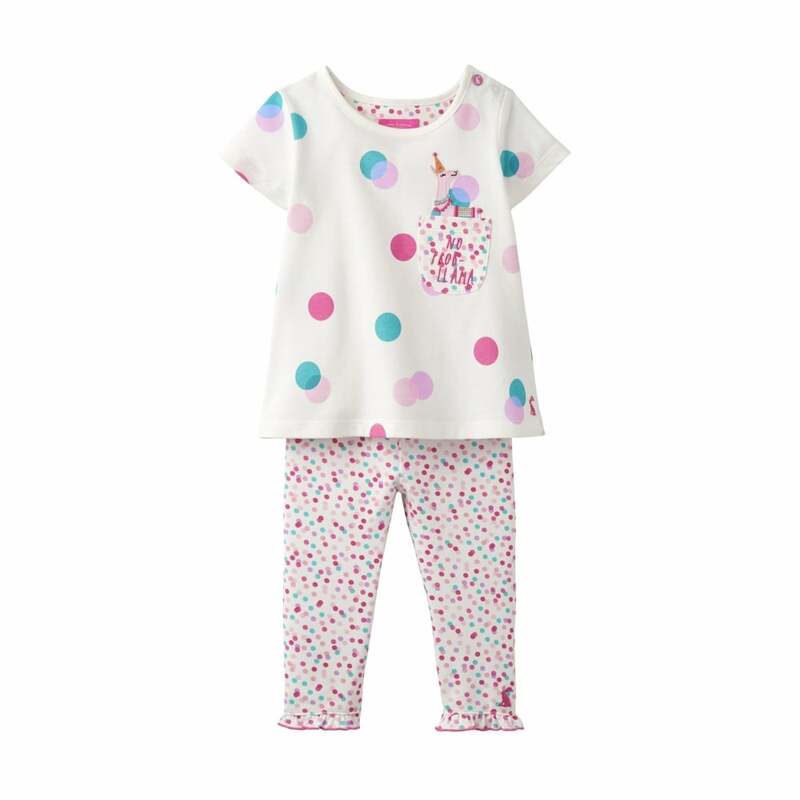 Durable and comfortable this is the perfect outfit for your little one.